In conjunction with the Wily Writers Website for Down-loadable Speculative Fiction, SpecFicNZ is going to conduct our second annual short story contest. This contest is only open to SpecFicNZ members and the submission period is April 1st, 2012 to April 30th, 2012. If you are not a member of SpecFicNZ, it is not too late to join. 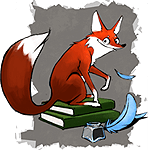 Editor of the Wily site, Angel Leigh McCoy, has generously agreed to publish the two winning stories on the Wily Writers Website in electronic and audio formats. Wily Writers is a significant market and was listed one of the 75 Best Online Markets by Writers Digest (Nov/Dec Issue 2010). In addition to publication, the Wily Website will be paying the top two winning stories the pro-rate of 5 cents a word (US dollars), and SpeFicNZ will be pitching in prize money as well. First place will get an additional $50. Second place an additional $25. Submission Guidelines can be found HERE, but please do not submit anything until April 1st. There is no particular theme, but stories should be speculative in nature. No member of SpecFicNZ or its core committee will be judging the contest entries. They will be judged by an outside party (chosen by Angel McCoy). Stories will not be edited, so send only your best, polished work. Second place winner Debbie Cowens with “Upon a Star” in text and audio format free HERE. First place winner Dan Rabarts with “Crucible” in text and audio form free HERE.